The strongest B2B brands build personal connections with their audiences. This is one reason why so many companies are jumping on the content marketing bandwagon. Unfortunately, as that bandwagon nears capacity, it becomes increasingly difficult for content marketers to cut through the clutter. One of the most effective ways to stand out is to create bite-sized pieces of visual content that grab attention and support the brand. People love pictures. We’re going to take about one billion photos this year alone. Combine our love of snapping selfies with the fact that 65% of us are visual learners, and it’s clear why visual content is so valuable. Here are eight examples of B2B tech giants that leverage visual content marketing to position their brand and engage their social followers. Lenovo uses a familiar and tasty metaphor to communicate the strategic value of its latest acquisition. 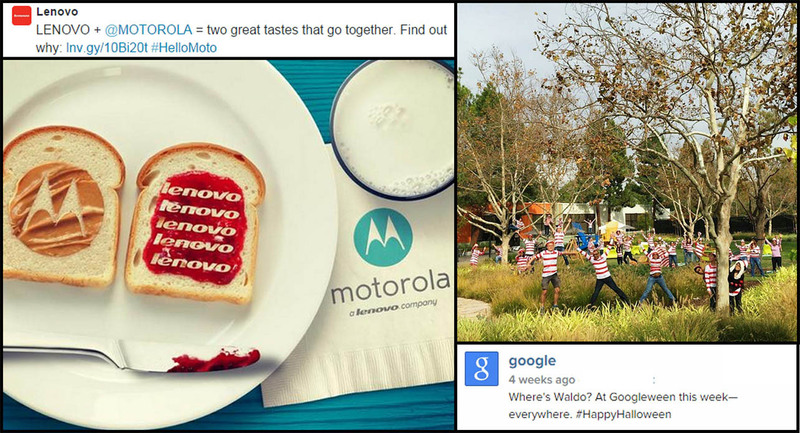 Google takes the opportunity to showcase the quirky side of its campus community on Halloween. HP finds a lighthearted way to connect with its audience by using a timeless story and a trending topic. 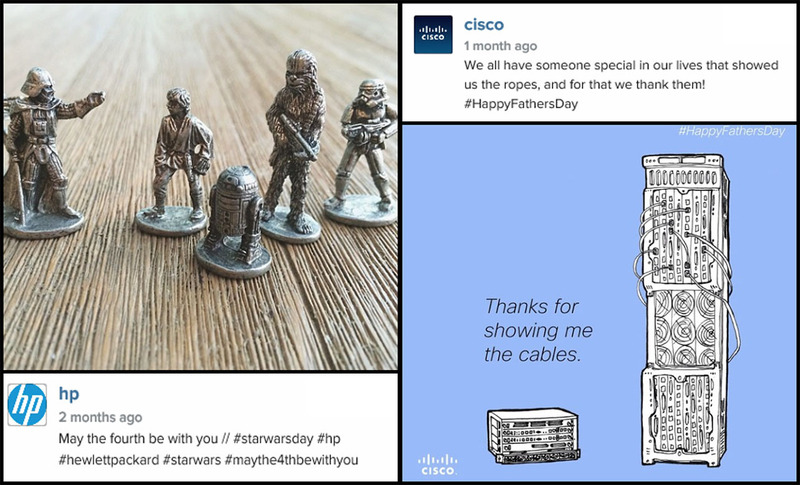 Cisco’s timely, clever nod to Father’s Day playfully connects trusted leadership and technology innovation. Intel uses #sciencesnap and #didyouknow to drive interest in science for the next generation of technologists. 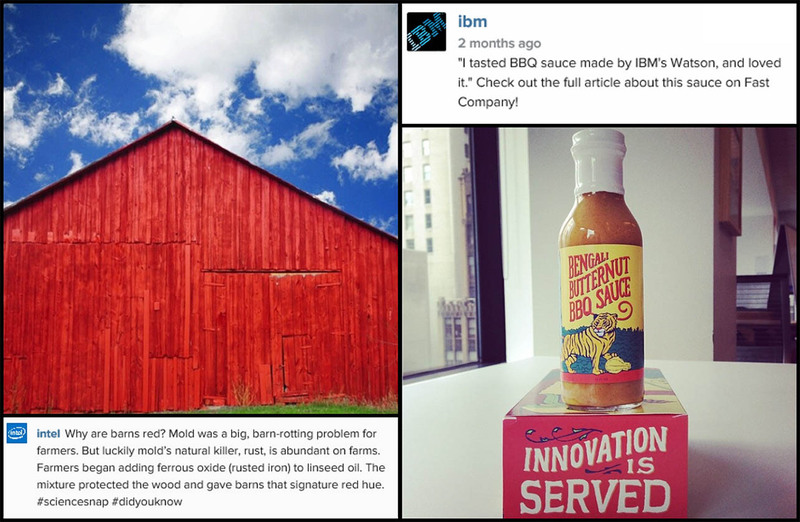 IBM spiced up its marketing and showcased innovation by releasing Watson’s first BBQ recipe. 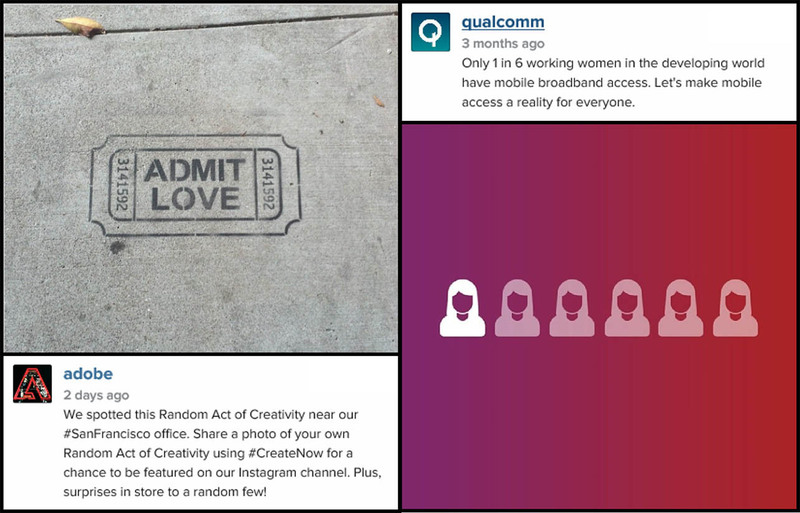 Qualcomm combined content marketing and cause marketing to raise awareness for a global issue. Adobe crafted a simple, on-brand way to drive engagement with its longstanding #CreateNow campaign. Has any visual content marketing caught your eye lately? Send us your favorite example on Twitter.